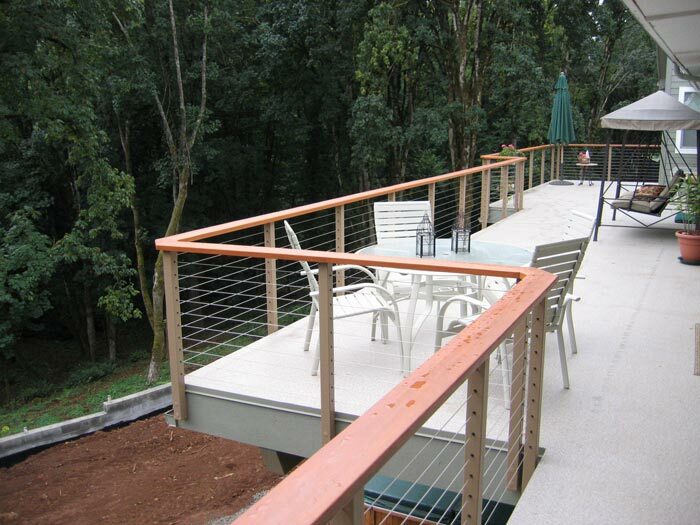 We offer both an elliptical and flat aluminum top rail for our aluminum railing system. The system can also be set up with top plates for mounting a wood top rail as seen here. 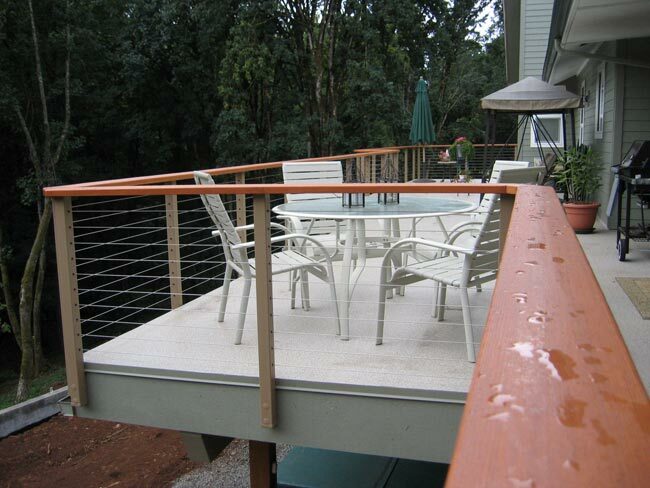 This railing application was on a waterproof deck that had a commonly flashed upper edge. 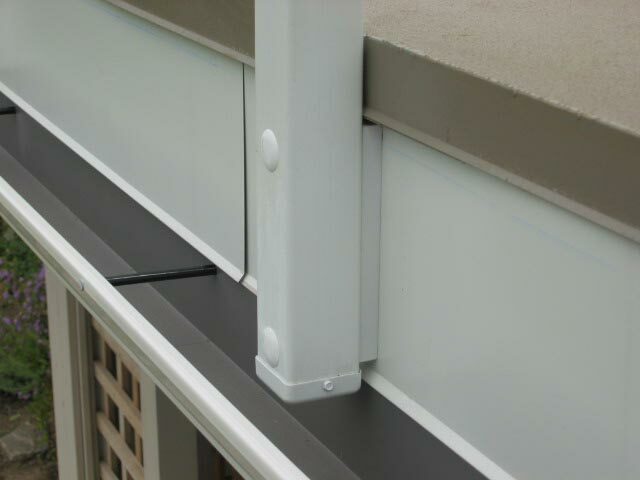 We spaced the post off the deck with a solid aluminum block to clear the edge flashing. 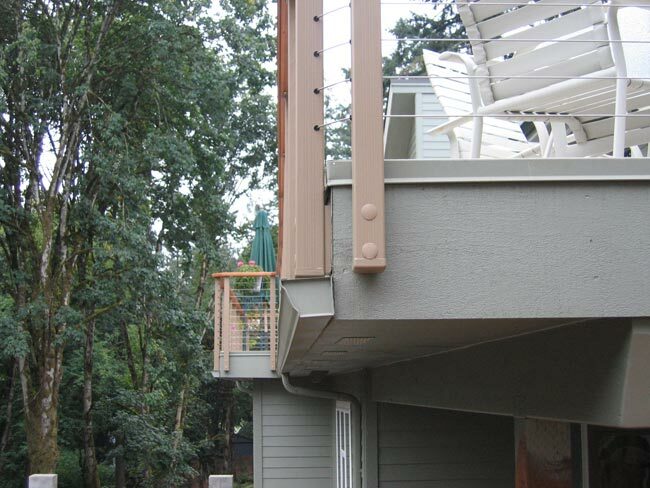 With waterproof decks, we recommend using fascia mounted posts. However, if this is not possible, we do offer special mounting gaskets and additional methods to help protect the integrity of the waterproofing. 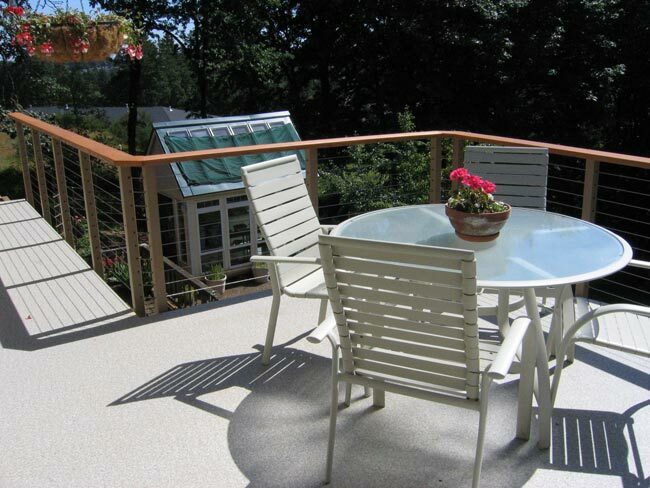 See the waterproof deck portion of the technical tab for more details.